오늘 이 시간에는 ‘Daylight Saving Time’, 일광 절약제와 관련된 대화를 듣고 영어 표현 알아보겠습니다. MIKE: Don’t forget to turn your clock one hour backwards. Daylight Saving Time ends tomorrow. DAN: Thanks for giving me a heads-up. I almost forgot about it. MIKE: Last year, I waited until the last minute and completely forgot about it so don’t make my mistake. DAN: These things will easily slip someone’s mind so I’ll keep that in mind. But the one good thing is I can sleep one hour more tonight! A: 시계 바늘 한 시간 뒤로 돌리는거 잊지마. 내일 일광 절약제 끝나잖아. B: 알려줘서 고마워. 나 거의 잊고 있었거든. A: 작년에, 나도 마지막까지 미루다가 까맣게 잊어버렸었어, 그러니까 나 같은 실수 저지르지 않도록 해. B: 그러게. 이런일 쉽게 잊어버릴 수 있으니까 명심할게! 하지만 한가지 좋은 점은 오늘 밤 한 시간을 더 잘 수 있다는 거야! · Don’t forget to turn your clock one hour backwards. - Don’t forget to V (동사 원형)은 (~무엇 무엇) 하는 것을 잊지 말라는 뜻인데요, 본문에서는 Don’t forget to turn your clock, 네 시계 돌리는 것을 잊지 말라는 말입니다. One hour 한 시간 backwards 뒤로, 즉 ‘시간 한 시간 뒤로 맞추는 것 잊지 마!’ 라는 뜻입니다. 이 문장은 ‘뒤로 가게 하다’는 뜻의 동사 ‘back’을 넣어 ‘Don’t forget to turn your clock back one hour’로 바꿔쓰실 수도 있습니다. 그러면 이 Don’t forget to V 을 이용한 예문을 한번 만들어 볼까요? - 너 내일까지 이 책 반납 하는 거 잊지마! Don’t forget to return this book by tomorrow, okay? - 매일 아침 식사 하는 거 잊지마! Don’t forget to eat your breakfast every morning! -너 매일 비타민 챙겨 먹는 거 잊지마! Don’t forget to take your vitamins every day! - 나한테 한 달에 한 번 편지 쓰는 것 잊지마! Don’t forget to write a letter to me once a month, okay? · Thanks for giving me a heads up. - Thanks for Ving는 ~(무엇 무엇) 에 대해 감사하다는 뜻입니다. Thanks for 뒤에 동사가 올 경우에는 반드시 동사에 ‘ing’를 붙여야 합니다. 예를 들어 ‘제 짐을 들어 줘서 정말 고마워요.’를 영어로 하면, ‘Thanks for carrying my luggage’할 수 있겠죠! 또 ‘heads up’ 은 ‘누군가에게 어떤 상황에 대해 미리 귀뜸 해주거나 충고나 경고를 해주는 것’을 의미하는데요, 그래서 ‘Thanks for giving me a heads-up’은 ‘나한테 잊지 않고 시간을 앞당길 수 있도록 heads-up 미리 알려줘서 고맙다’는 말입니다. 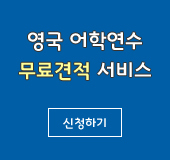 Heads-up 일상생활에서 많이 쓰는데요 어떤 상황에서 이표현 쓸 수 있는지 예문을 통해 알아보겠습니다. A: Thanks for giving me a heads-up on the job openings in your company. 회사 채용 공고 난거 귀뜸해줘서 고마워! A: Just a heads-up. We might need to send some of you guys to the Arizona branch for a year. 미리 말해줄게 있는데요. 여러분 중에 몇 명이 일 년 동안 아리조나 지부에서 일을해야 할 것 같습니다. B: Oh my gosh! When will it be decided? · I almost forgot about it. ‘(무엇인가)에 대해 잊어버리다’ 는 뜻입니다. 그래서 핸드폰을 집으면서, ‘I almost forgot my cell phone.’ 하면, ‘하마터면 핸드폰을 잊을 뻔했다’ 뜻이 됩니다. 또 일상 생활에서 ‘forget it’이라는 표현도 많이 쓰는데요, ‘Forget it’ is used to tell someone that something is not important and they do not need to worry about it, 즉 누군가에게 무엇인가가 중요 하지 않으니까 신경 쓰지 않아도 된다고 말할 때, 이 forget it, 이라고 말할 수 있습니다. ‘신경 쓰지마’, ‘괜찮아’, ‘염려 하지마’ 라는 의미죠. ex 1) A: I’m so sorry, but I don’t think I can give you a ride today. 정말 미안한데, 오늘 너 라이드 못 해줄 것 같아. B: Forget it. I will ask someone else. 괜찮아. 다른 사람에게 부탁해 볼게. ex 2) A: Let me pay you back. B: No, just forget it. 작년에 난 마지막까지 미루다가 결국 완전히 잊어 버렸어. - until은 ~(언제)까지 이고, the last minute은 마지막 순간이라는 의미입니다. 그래서 ‘마지막 순간까지 일을 미루지 마세요’, 영어로 하면 ‘Don’t wait until the last minute.’하실 수 있습니다. · Don’t make my mistake: 내가 한 실수 똑같이 저지르지마! 라는 뜻으로, Don’t make the mistake I made, 의 의미입니다. · Slip one’s mind : 무엇인가를 깜빡하다, 잊어버리다. ‘나 완전 까먹었어’, ‘I totally forgot about it!’ 해도 되지만, ‘It just slipped my mind!’ 해도 되죠! ex) 책 이번주까지 꼭 돌려줘야 한다는 것 명심해! Keep in mind that you must return the book by the end of this week!